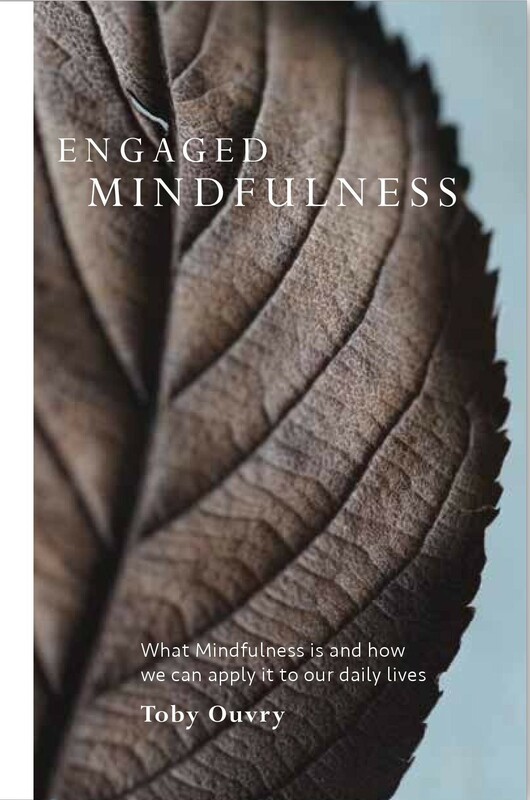 I’m really happy to announce that my new book ‘Engaged Mindfulness – What mindfulness is and how we can apply it to our daily lives’ is out! I’ve been writing blog articles on meditation and mindfulness or a long time now, this first book of mine looks specifically at some of the most practical ways to understand and work with mindfulness in your daily life that I have discovered through my own experience over the last twenty years or so. It is only available in hard copy. I also also invite you to watch my Minfulness Ted-X talk ‘Inner Horizons’, which is a good primer for the book! ‘This is a book on applied mindfulness. It aims to present clear, practical ideas and exercises on how to integrate mindfulness practice into your daily life. The different sections of the book were originally written as articles, reflections on the authors own practice of mindfulness, and the ways that he has found most useful to integrate mindfulness into his life as different challenges have presented themselves. Each section details mindfulness exercises and practices which you can either try out in a systematic way, one chapter after the other, or in a more organic manner, picking out the practices that you feel most drawn to. Those who have no experience of mindfulness previously, might like to go to section entitled ‘Some Simple Focusing & Relaxing Practices’, which detail exercises for building basic mindful concentration. Click HERE to purchase your copy if you are in Singapore (or Malaysia). Click HERE to purchase your copy if you are ordering from outside Singapore. Click HERE if you wish to purchase without mail delivery (i.e: You will pick up your copy).